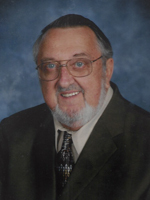 John William Parker, Sr., 80 passed away Friday, February 1, 2019 at his home in Hayes, VA. He was born in Delaware and had been a Peninsula resident for most of his life. He retired from Newport News Shipbuilding as a sheet metal mechanic in 2000 after over 30 years of service. He also served his country honorably in the U.S. Air Force. He enjoyed the outdoors and spending time working in his garden and woodworking. He loved talking with anyone, and truly never met a stranger. But his greatest pleasure was spending time with his grandchildren, the loves of his life. Mr. Parker was preceded in death by his wife 54 years, Mary C. Parker, and his brother, Victor “Bub” Parker. He is survived by two sons, John W. Parker, Jr., of Williamsburg, and Jeff Parker (Annah) of Gloucester; a daughter, Stephanie LaFrance ( George Jr.) of Newport News; a sister, Madeline Parker of Michigan; and six grandchildren, Clint and Jake LaFrance, Bryce and Samantha Parker, and Lauten and Kaitlyn Parker. The family will receive friends from 6-7:30 p.m., Wednesday, February 6, 2019 at Weymouth Funeral Home. A funeral service will be held at 1 p.m., Thursday, February 7, 2019 at the funeral home chapel by the Rev. Dennis Worsham. Arrangements are by Weymouth Funeral Home, 12746 Nettles Dr., Newport News, VA 23606.